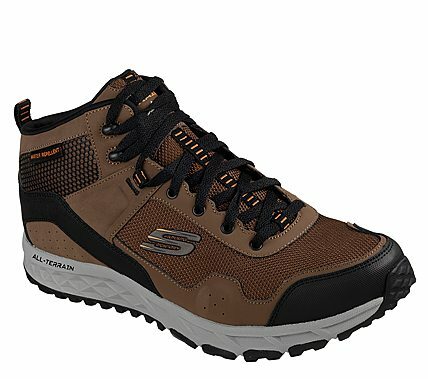 Make the outdoors your kingdom in comfort and style with the SKECHERS Escape Plan - Sly Goose shoe. Leather, synthetic and mesh fabric upper in a lace up athletic trail walking and training high top sneaker with stitching, overlay and perforation accents. Air Cooled Memory Foam insole.